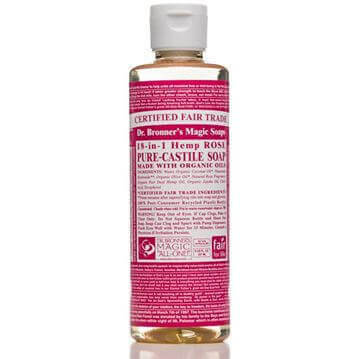 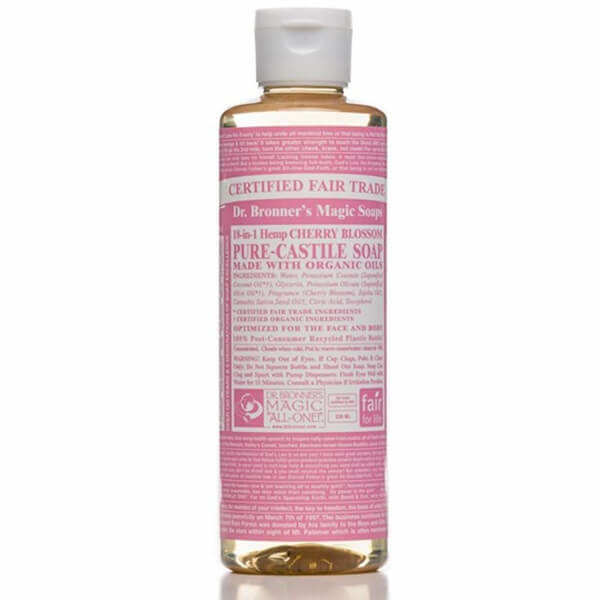 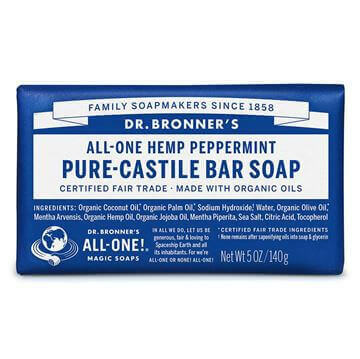 Dr Bronner's Pure-Castile Liquid Soap -Cherry Blossom is a sweet scented, floral cherry concentrated multi-tasker! 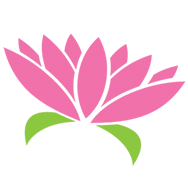 Biodegradable, versatile and an effective cleansing soap for you and your home. 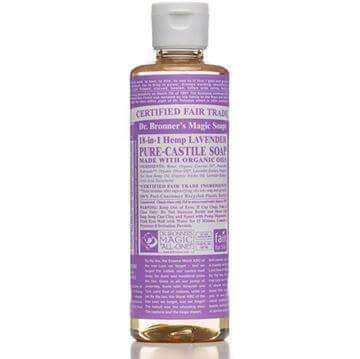 Made with organic and certified fair trade ingredients, packaged in a 100% post-consumer recycled bottle.